it to download the pdf. 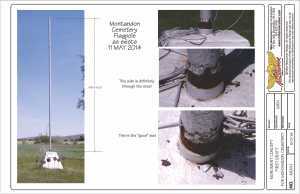 and help see this project through to completion. 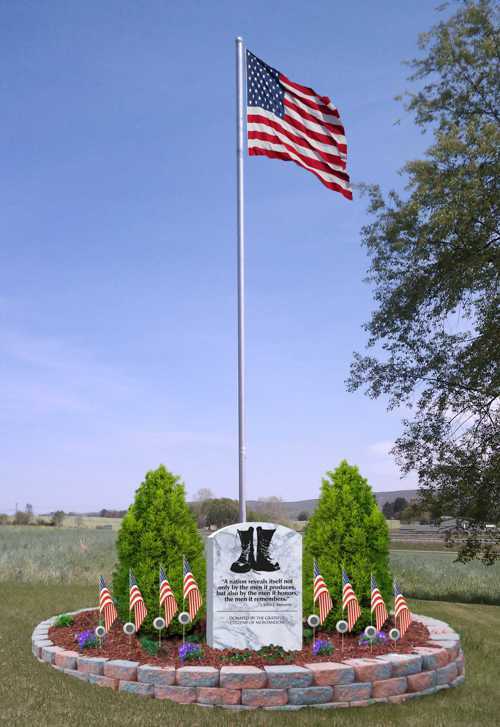 Proposed new memorial for existing pole and base located at the Montandon Cemetery. 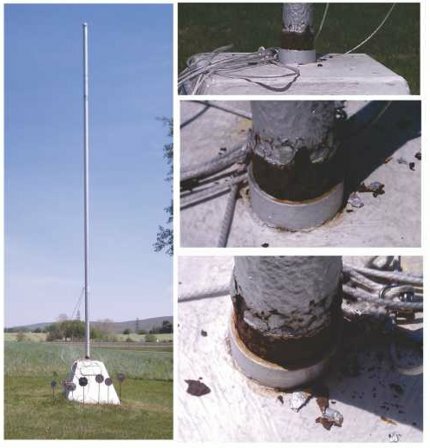 Existing base in 2014 shows age and decay. 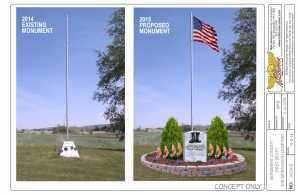 Existing flagpole and base with rendering of proposed new monument. 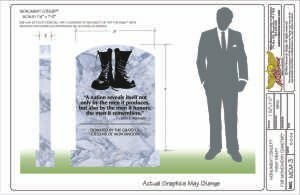 Scale detail and specs for blast carved granite monument. 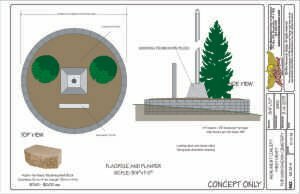 Plot view and planter detail. 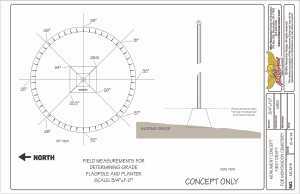 Rough field dimensions to determine grade. Copyright 2015 Mike Newcomer Aviation Art, All rights reserved. Mike Newcomer, Mike Newcomer Aviation Art and Mike Newcomer Design are responsible for only website, promotional materials and other marketing for the fund raising project. 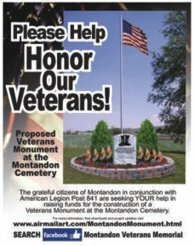 All fundraising, finance and collected donations are the responsibility of American Legion Post 841.